Written from the rel life experience of the Authors, both recovered alcoholics. 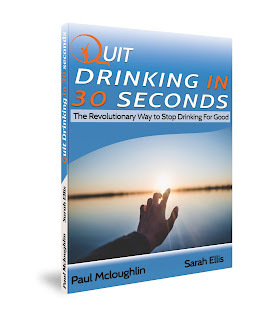 Quit drinking in 30 seconds is a revolutionary way to quit drinking and stay stopped. There is a full follow up program too. This book has something in it for everyone and teaches some wonderful techniques for how to live in a modern world with daily pressures, while remaining calm, happy and at peace.